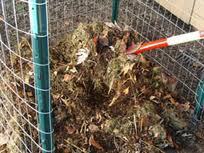 With fall coming to an end and winter at our doorstep, now is the time to make a compost pile. 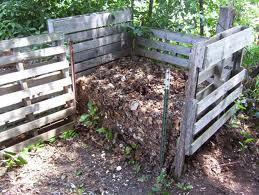 This post will teach you how to build a compost pile and will include some tips, tricks, and other useful information to keep in mind as you go about this process! Composting allows decomposed materials to be reused as a nutritious supplement for your garden, lawn, and house plants. A variety of elements may be used. Materials for the compost pile are broadly divided into two categories, Green or nitrogen rich materials and brown or carbon rich materials. Green materials include fruit and vegetable peelings, lawn clilppings, plant cuttings, hair, coffee grounds, and animal manure(not recommended). Brown or carbon rich materials include dead leaves, twigs, paper, hay, dried plants, and woody cuttings. Autumn settling in and the leaves filling your yard is a perfect time to begin composting. Composting provides a useful and environmentally conscious alternative to bagging up your leaves and sending them away as waste. Once you begin the process, it can become a part of your annual seasonal routine. The location for your compost pile is important. When you make your compost pile, you want to make sure you have plenty of space. The pile should be at least 4 feet wide and 4 feet deep. It will be best if you create the pile near a water source which can be your garden hose, sprinkler, or Orbit drip irrigation system. It is best not to place the pile directly under a tree as the roots of the tree may interfere with the pile. Start with a layer of carbon materials about 4-6 inches thick, then add nitrogen rich materials. Add a layer of soil. If available, this is where you would add a layer of Compost Assist. Turn the pile using a pitchfork or compost aerator, moving the outer layer to the center, and continue layering and turning until the pile is completed. Don't worry too much about getting technical with the construction of the pile but it will be beneficial if you layer the materials, give the pile plenty of space, and keep it damp and also stirred regularly. Have fun with it! 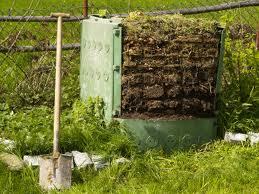 Good luck with making your compost pile and be sure to comment with any questions or tell us how it went for you!